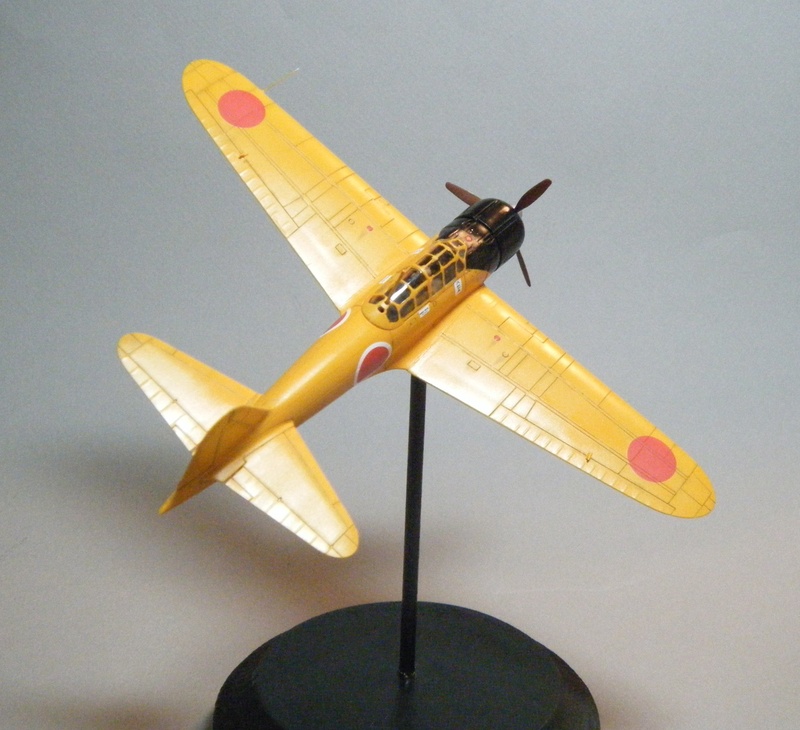 Rex Wadsworth has kindly shared images of two recent Japanese aircraft model builds. The Sweet 1/144th Mitsubishi A6M2 Zero is a little gem and modelled to depict a Tainan Ku aircraft flown by Saburo Sakai. 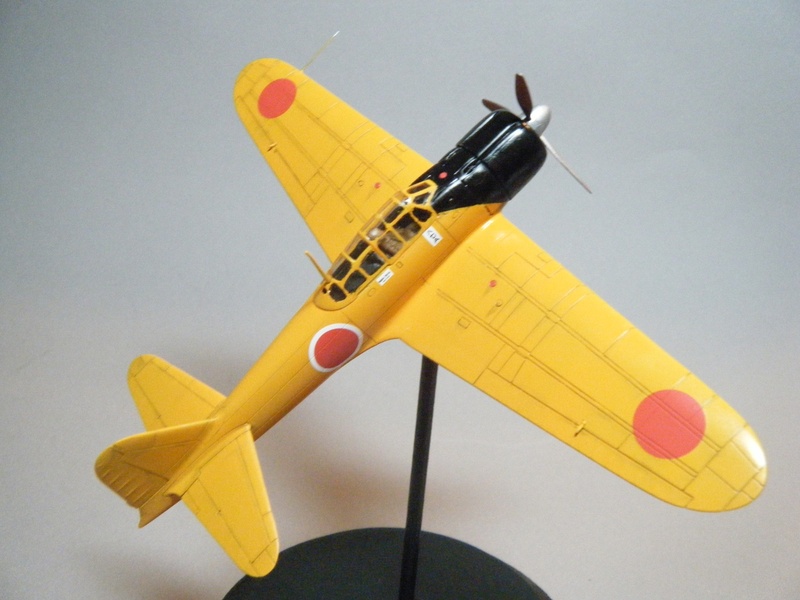 Rex notes that the detail in this kit is wonderful and painted it using a Testors Model Master mix suggested by Greg Springer and included in Osprey's 'Modelling the Mitsubishi A6M Zero' book by Brian Criner. This is 2 parts SAC Bomber Tan (FS 34201), a little under one part Green Zinc Chromate and one part Flat White. Rex warns that if the Green Zinc Chromate is exceeded the Zero colour turns a "nasty green"! He lightened the mix with additional white bearing in mind the scale. Rex used the kit canopy frame decals which, although they work well, are based on Sweet's own colour suggestions and do not quite match the paint mix he used. Kit decals were applied but Rex thinks the fuselage band might be the wrong colour. These went on well and after a gloss coat he highlighted panel lines with Faber-Castell Pitt Artist Pens from a six-pack of "Shades of Grey". "In the end, I mixed Testors Flat Red and Flat Yellow. These were the paints I had on hand. 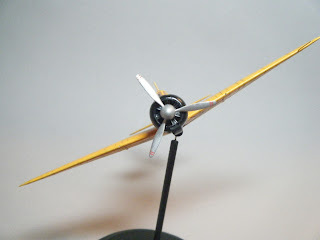 And with a low budget, I opted not to buy the Tamiya paint that I had a mix formula for. It worked for the best. I started with the Yellow and found that even a small drop of Red will send the Yellow to full blown Orange. That is not what I wanted. In my mind's eye I wanted a true "Yellow-Orange", not an Orange color. I had about 3ml of Yellow and added what was basically a bamboo skewer moistened with the Red to the mix. Perfect! At least to my eye." Rex wanted to add white-outlined Hinomaru to the undersurfaces but was unable to obtain suitable aftermarket decals so he settled in the end for the kit's plain ones. The cowling and canopy decking were painted blue-black using a mix of Model Master Dark Sea Blue with a few drops of Flat Black. Cockpit interior was British Interior Green with a tiny drop of Flat Yellow added. 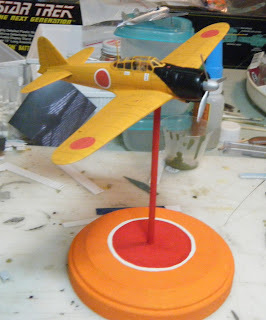 The pilot was used to model the aircraft wheels up as this is a kit option and Rex added a wooden base from an art and craft store painted orange and decorated with a Hinomaru. 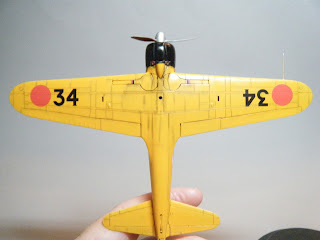 Although "not a perfect kit but at the price a very good investment" he gives two thumbs up for the Airfix Zero - "More detailed than Hasegawa on the inside. 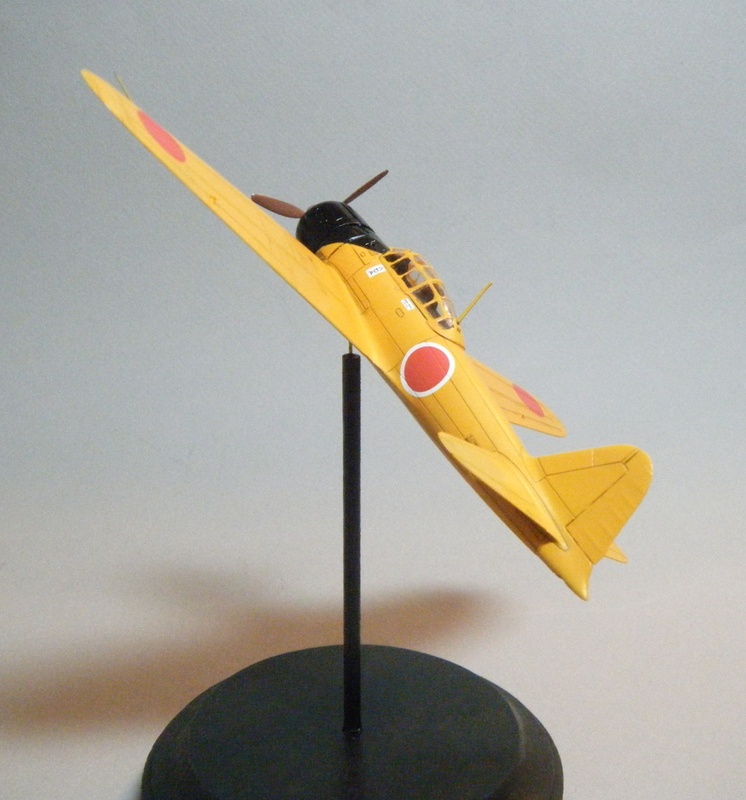 The Fine Molds 1/72 Zero is a work of art, but art at a price!" - and plans to build more of them. Thanks to Rex for sharing these images of his excellent Zero models in two scales. I've seen dismissive comments around the forums about the new Airfix Zero kit in comparison to the superlative Fine Molds version but I think this is unfair (and no doubt involves Airfix snobbery too). It is much cheaper, perfectly reasonable, more readily available (even than the Hasegawa kit) and a proper "model shop" kit, not something you have to buy mail order from Japan in two large plain A4 boxes with two magazines. I intended to provide a link for the Fine Molds kit but had to give up after much fruitless searching on the HLJ site. Hopefully the Airfix kit will reach a wider audience, encourage a plethora of adventurous schemes and versions, become the basis for further variants from Airfix and stimulate a more discerning interest in accurate paint colours. Excellent. I especially like the trainer and its display stand! Very good builds. I love the trainer, and will do my zero in a similar scheme. Airfix are definitly getting better. For the money this Zero has to be a better choice for the vast majority of modellers.